We complete this month's Crystal Earth Meditations through 8pm BST with a focus to send healing to all in distress across the globe. 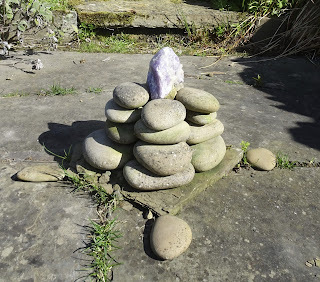 This meditation will use the amethyst crystal cairn at Old Nisthouse here in Orkney. Hope you can join us through meditation, positive thought or prayer from where ever you are based. 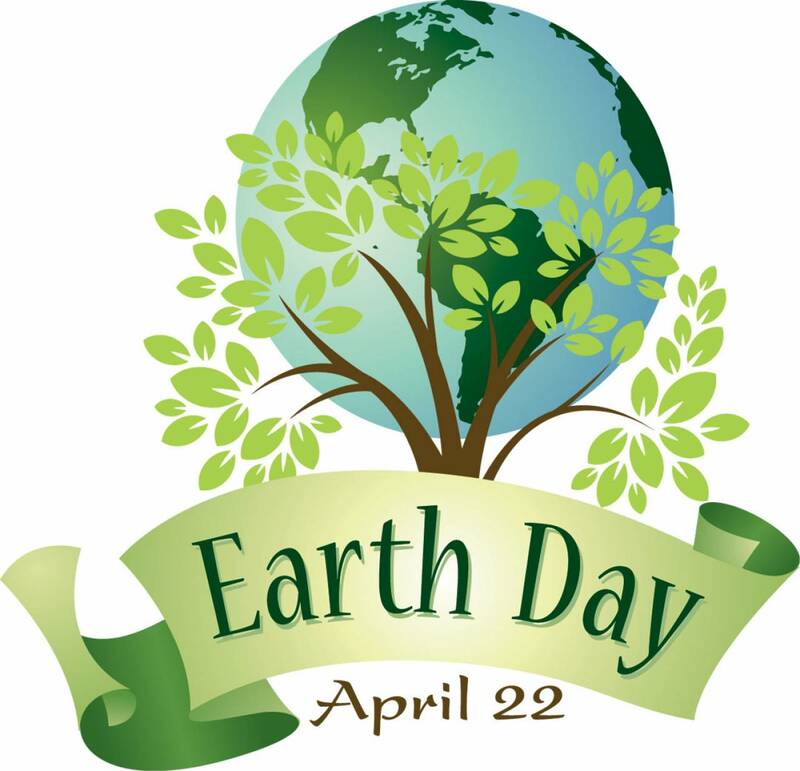 Happy World Earth day to you all for yesterday! Sorry to not post anything -we did have a special meditation through 12pm but our internet connection was playing up - the joys of island living! Hope you all celebrated in your own way or if its new to you, one to watch out for next year. 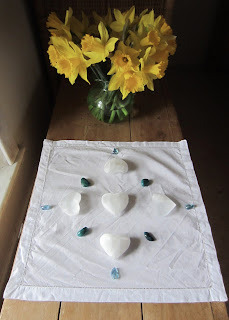 Tonight's meditation, through 8pm BST, is the third of three meditations for planetary harmony and balance using a combination of planchite and snow quartz crystals. To join us, from where ever you are based, please simply focus on the image below in meditation, positive thought or prayer at the allotted time. Further details of these weekly Crystal Earth Meditation's are available at www.crystalearthworks.net. These beautiful rose and angel aura crystals were planted to the Robertson family therapeutic roof garden at Aberdeen Royal Infirmary on 18/04/2018. This beautiful tranquil garden was opened in September last year and is located next door to the equally peaceful and beautiful sanctuary. Every hospital should have spaces like these accessible to patients, staff and relatives and visitors, so important where life changing challenges, decisions and experiences are taking place on a daily basis. Just a quick reminder re tonight's meditation for planetary harmony and balance through 8pm BST. Full details April 9th post. All welcome to join in! Lovely news been passed on re crystal planting work done last year in community garden in Penzance (further details 13th March posting). The planter also added that the place where the fairy cross had been planted had been left undisturbed. Thank you for all this! 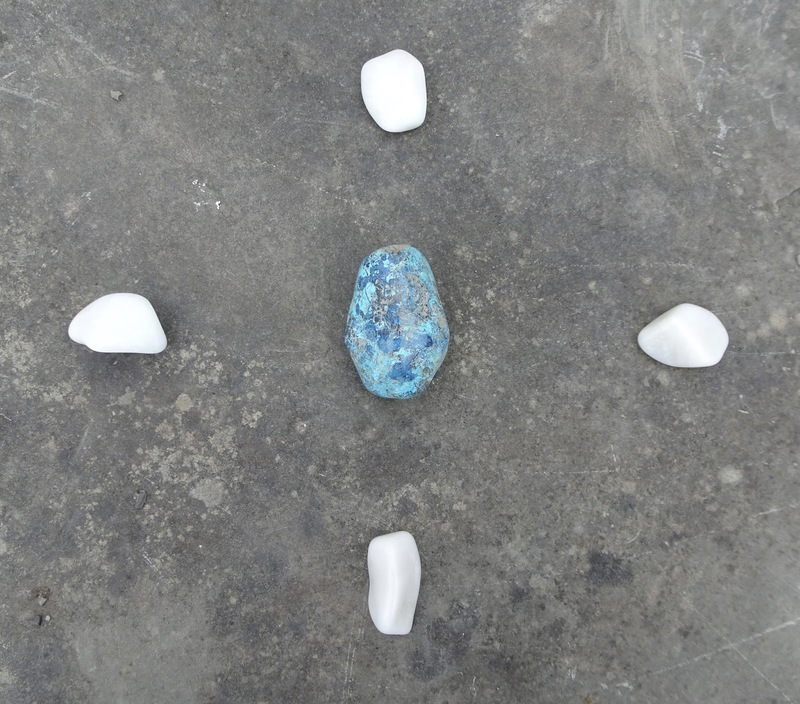 Tonight's meditation, through 8pm BST, is the first of three meditations for planetary harmony and balance using a combination of planchite and snow quartz crystals. The beautiful crystal configuration shown below will be opened through 12pm today, Easter Sunday for twenty four hours. Please feel free to connect into this set of crystals when ever you are able to or feel drawn, and thank you, as always, for your connection. Happy Easter to all!